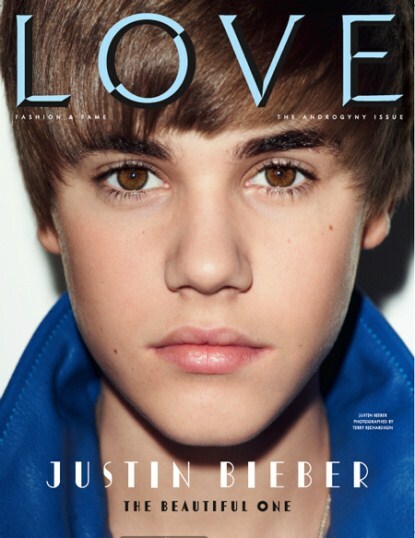 Singer Justin Bieber, 16, graces the cover of British fashion magazine LOVE. The Androgyny issue cover was shot by Terry Richardson and is title “The Beautiful One“. Justin will be featured on one of three covers including Kate Moss and transsexual model Lea T. The other two covers were shot by Mert & Marcus. We love the cover how about you.